Are you on the brink of losing hope while trailing your dream job as a support specialist? The IT world has never been an easy-peasy industry. You need to pursue harder―come hell or high water―if you don’t want to end up in dire straits. Being unemployed is downright depressing, and it may even take a toll on your personal life, not to mention your financial resources. So, what do you do to stand out from the pile of applicants with the same educational background and working experience as yours? The answer lies with IT certifications. Yes, IT certifications are the unspoken solutions to your job hunting woes. While many people think that acing a job rely on how you answer during the interview (sometimes, with a hint of luck! ), better think twice because most employees also take account the essential ‘extras’ you put on your profile. And these ‘extras’ are no other than IT certifications, yet again. But the question is how to choose among the wide-ranging options in the market? Don’t be stressed out because there’s this internationally recognized certification that has been making waves for many, many years. We are referring to the ever reputable and valuable CompTIA A+ Certification. If you’re still unsure, read and be at awe with the impressive benefits you’ll gain from this highly notable CompTIA credential noted below. 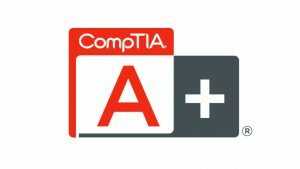 Arguably the most important benefit offered by CompTIA A+ is that you acquire essential information and abilities, which will then be useful in your job hunting and career advancement. As a support specialist, there’s a need to be equipped with tools and technologies to ensure quality services. Whether you work for the employer’s staff or directly to the customers, being able to assist in a timely and effective manner is imperative. And this first-rate service can’t be done without preparation. Through CompTIA’s certification exams (220-901 and 220-902), you are preparing the ground for your career as a support specialist. In particular, these exams are not easy. You need to wrap your head around and learn the topics by heart, hence the needed knowledge build-up and skill development for your career. Just in case you do not know, CompTIA certifications are dubbed as one of the critically acclaimed standards in the IT field. The company itself is a top trade non-profit organization that has been in the industry for more than three decades. Thus, putting something as remarkable as the A+ credential in your profile is definitely the cream of the crop in your profile. Because of its prominence and benefits, there are over two million CompTIA certified professionals in the world. This means that a large number of individuals have tested and proven the value of these certifications. And once you become part of the CompTIA community, you’ll gain access to different job openings and even the latest updates and trends in the industry. To top it all, earning a certification also gives you the privilege to make new colleagues, who are of the same path as yours. Another factor that makes CompTIA A+ distinct from other certifications is that it provides higher remuneration. But how much do you really earn if you are a support specialist armed with the A+ merit? If you are a desktop support specialist, then median salary starts at $47,000 and may go up as high as $57,000. For support technician or technical support specialist, the average salary is $44,000. These salaries are 5 to 15% higher than those who don’t have certifications. The exact compensation, however, would still depend on your job level, working experience, and the number of certifications. But one thing’s for sure, the CompTIA certifications open up a very rewarding pay, making it very attractive among newbies who are yet to make a name in the industry. If you’re wondering why many hiring managers opt for those with IT certifications, the main reason is that these people are often linked with credibility and success. IT certifications like CompTIA A+ confirms the knowledge and skills claimed through school and work experience. Often than not, aside from using certifications as a reliable predictor, these are also used as a determining factor for job employment success. An employer would always choose an in-depth profile over a so-so application. Earning the A+ certification is not just beneficial to the exam takers or employees but also to the company as a whole. Why? It is because this guarantees them that they hire out competent and credible professionals, who can aid in the company’s success. Not only that, this entails lesser financial cash outflow and more cash inflow. Hiring CompTIA A+ certified individuals can work effectively and efficiently, hence providing a fast turnaround time. This, in return, provides the satisfaction the company needs. And if you’ve grown tired with your job as a support specialist, well, the career options are still high! You don’t need to box in yourself in a specific position. CompTIA A+ offers a range of job opportunities such as field service technician, desktop support analyst, help desk tier 2 support, and more. The A+ certification also unlocks other advanced credentials as it serves a foundational validation in terms of infrastructure and security. Not only that, with this credential, you can even open your own computer repair business! If the list of benefits above is downright appealing for you, you can now start planning for the CompTIA A+ certification exams. Just to give you a slight overview of the certification―there are two exams that you need to pass (220-901 and 220-902). Both exams are equally difficult but manageable with a proper amount of preparation and training. There are plenty of study materials accessible online but you just need to utilize the important ones. So, are you ready to create a rather eye-catching CV that creates a lasting impression among employers? ← Why is Security+ Certification Becoming So Popular Among Security Experts?